February 6, 2018 7:57 pm. 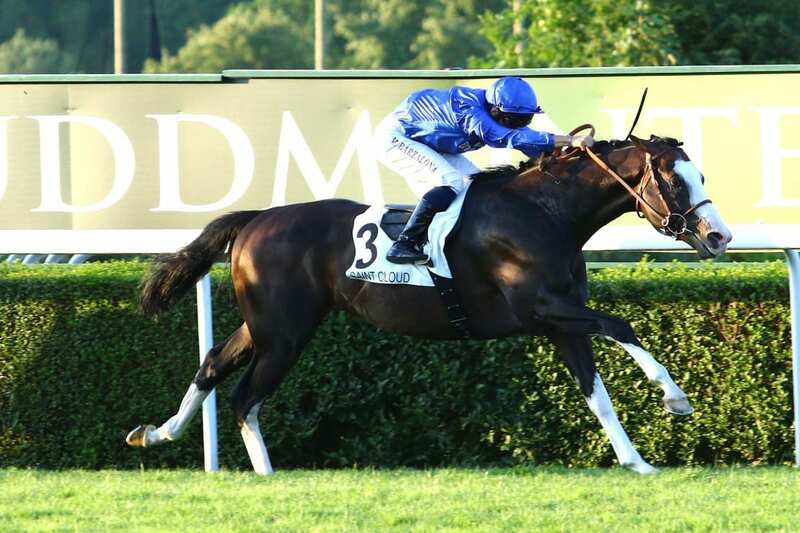 Group 1 Breeders’ Cup Turf winner Talismanic heads huge nominations for Dubai World Cup raceday. Nominations for the $10,000,000 Group 1 Dubai World Cup closed on January 11th with 136 of the globe’s premier Thoroughbreds. Scheduled for March 31st, 2018, the 2000m dirt fixture has been won by such superstar champions as Cigar, Dubai Millennium, Invasor, Curlin, California Chrome and Arrogate. In 2018, nominations for the Dubai World Cup include American champions West Coast and Forever Unbridled, as well as Group 1 Breeders’ Cup Turf winner Talismanic, Group 1 Japan’s Champions Cup winner Gold Dream and the previous two winners of the Group 1 Jockey Club Gold Cup, Diversify and Hoppertunity. Other Group 1 winning nominees of note include Thunder Snow, Apollo Kentucky and Seeking the Soul, while top-class Group 2 winning athletes Gunnevera, Second Summer and Good Samaritan add significant depth. International luminaries are abundant in the nominations for the nine-race, $30-million card – the richest day on the global racing calendar. The $6,000,000 Group 1 Dubai Sheema Classic over 2410m on turf is topped by champion Cracksman, the world’s top-rated 3-year-old of 2017, as well as Group 1 Japan Cup winner Cheval Grand and Group 1 winner Cloth of Stars, while the $6,000,000 Group 1 Dubai Turf over 1800m attracted the world’s top-rated horse in training, Australian superstar Winx, a daughter of Dubai World Cup winner Street Cry, as well as champion World Approval and last year’s winner Vivlos. The card’s two sprints showcase some of the fastest horses on the planet. The $2,000,000 Group 1 Dubai Golden Shaheen over 1200m on dirt is topped by defending champion Mind Your Biscuits, Group 1 Breeders’ Cup Sprint winner Roy H and Group 1 Centenary Sprint Cup winner DB Pin, while the $1,000,000 Group 1 Al Quoz Sprint over 1200m on turf features defending champion The Right Man, Group 1 British Champions Sprint winner Librisa Breeze and UAE’s top-rated horse, Ertijaal. A pair of Group 2 events, each worth $1,000,000, respectively boast strong global intrigue. The Dubai Gold Cup, a 3200m turf marathon, attracted three-time Group 1 winner and two-time defending champion Vazirabad, as well as Big Orange and Torcedor, while the Godolphin Mile over a 1600m on the dirt, includes Group 1 Cigar Mile winner Sharp Azteca, as well as Kafuji Take and Accelerate. The $2,000,000 Group 2 UAE Derby sees such rising stars as Group 1 Breeders’ Cup Juvenile Turf winner Mendelssohn, Japanese stakes winner Don Fortis and Group 2 winner Untamed Domain, a son of Dubai World Cup winner Animal Kingdom. At 1900m on dirt, the UAE Derby offers its winner 100 Road to the Kentucky Derby points, which can lead to a start in that American classic.